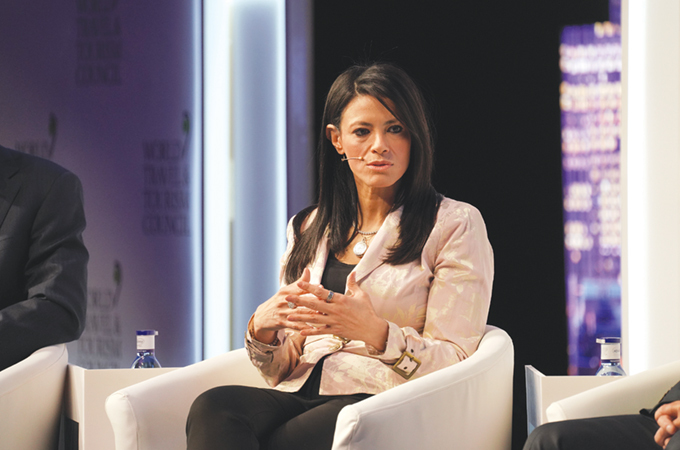 ONE of the key travel and tourism events worldwide, The World Travel & Tourism Council (WTTC) Global Summit took place in the Andalusian capital of Seville in Spain from April 2 to 4, and TTN was invited. The global summit saw a record attendance of about 1,500 senior delegates, including over 100 WTTC member CEOs, 300 media, more than 20 ministerial delegations, as well as serving and former heads of state. It was not surprising to find quality headline speakers such as the Spanish President Pedro Sanchez Perez; Margaret Kenyatta, first lady of Kenya; Felipe Calderon, former president of Mexico; and Barack Obama, former President of the US. The main theme of the event was simple, yet powerful: change and changemakers, as the global summit celebrated the 500th anniversary of the first circumnavigation of the world from Seville and the world-changing impact of that achievement. Travel and tourism is one of the leading sectors stimulating economic growth and employment worldwide. In 2018, the global travel and tourism sector grew at 3.9 per cent to contribute a record $8.8 trillion and 319 million jobs to the world economy. WTTC represents the travel and tourism private sector globally, with members including over 170 CEOs, chairmen and presidents of the world’s leading travel and tourism companies from around the world. Some new initiatives were launched at this year’s global summit and key individuals awarded for their achievements in different fields, while breakout sessions discussed everything from China’s rising superpower status to the competitiveness of Europe as a tourism destination. The WTTC Global Champions Awards recognised countries that have used policy initiatives to create the conditions to promote long-term sustainable growth. The awards ceremony took place at the Gala Diner of the WTTC Global Summit in Seville, Spain, and was hosted by Ayuntamiento of Seville, Turismo Andaluz and Turespaña. The award for Resilience, which recognises leadership by a country that has demonstrated success in recovery from adverse events, went to Dr Rania Al Mashat, Minister of Tourism, Egypt. 2019 Tourism for Tomorrow Awards, now in its 15th year, recognises the leaders in sustainable tourism with their inspirational, world-changing initiatives.Fiona Jeffery, OBE, chair, WTTC Tourism for Tomorrow Awards, said: “The aim of the WTTC Tourism for Tomorrow Awards is to showcase some of the most exceptional examples of sustainable tourism practices in the world, and inspire and encourage our industry to make a positive impact for both current and future generations. Over 15 years, we have seen the industry make great strides towards achieving these goals and we can see positive change happening. WTTC also announced, at the recently concluded global summit, the formation of a global taskforce to help prevent and combat human trafficking - an illicit activity that affects 30 million victims worldwide, and relies on travel networks to operate. The taskforce comprises WTTC members and sector associations to become the first global industry-wide initiative to assert zero tolerance and share best practices. The World Travel & Tourism Council’s 2020 Global Summit will take place in the Caribbean island of Puerto Rico in San Juan from April 21 to 23, 2020.